Create a fast, standardized, and transparent process to purchase goods and services for your real estate business. Using the Nexus AP platform, you can create electronic POs and then route them to approvers in seconds. Or, setup workflows that allow POs to be auto approved if they match certain criteria. With both, you gain complete control over the purchase process. Build electronic purchase orders quickly, using custom templates, your online vendor catalogs, or create your own POs on the fly. 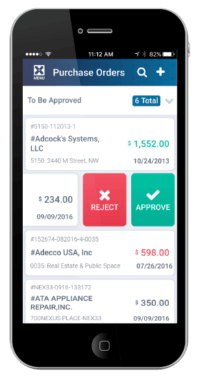 Route the POs for approval(s) – with just a click. Once you have the greenlight, deliver the POs to your vendors, using the Nexus platform. It’s that simple. Thanks to integration with your accounting system, you’ll have near real-time visibility into how the purchase order affects your budget and actuals. 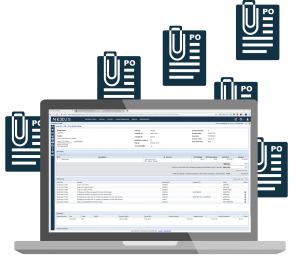 Your existing GL/ERP remains the system of record with Nexus purchase order automation. 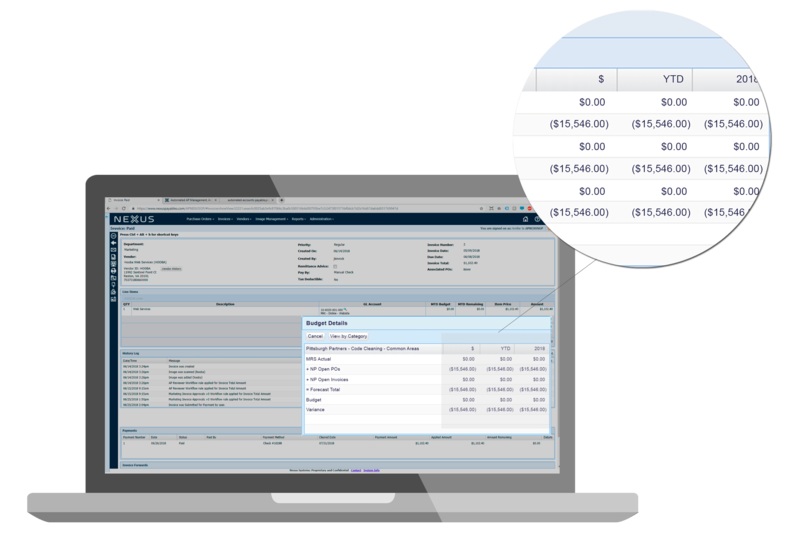 Working with the Nexus Invoicing module, the PO can be seamlessly flipped into an invoice. Data such as vendor, price, quantity, and items ordered will all be auto populated, and sent to your GL/ERP. POs can be easily leveraged by the Invoicing and Catalog components to eliminate double data entry and increase accuracy. Create an invoice manually and link to a PO. When you select the PO, line items are pulled into the invoice. Open a PO and convert it into an invoice. Select the line items to be paid by the invoice. Keep the PO open for outstanding goods/services. Place an order with Catalog and convert that into a purchase order. Send PO to the vendor through the Nexus platform. 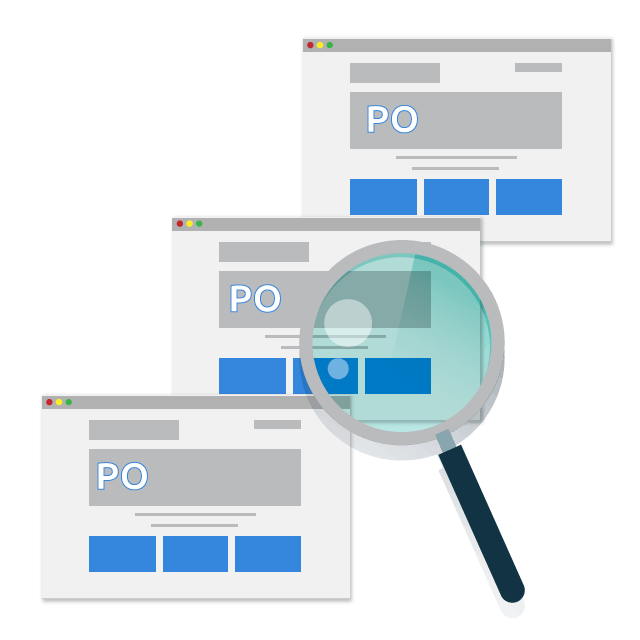 Vendor sends invoice – linked to original PO. See open, rejected, and pending purchase orders with the click of a button. Plus, search POs by vendor, keyword, or other filters. Reduce Errors and Fraud – Keep your staff accountable by requiring easy-to-use processes for making purchases. Reign in Maverick Spend – Eliminate after-the-fact invoices and set up controls and workflows to make sure purchase orders follow procedures. Align with Budgets – Stay within budgets or at least know when there are variances. 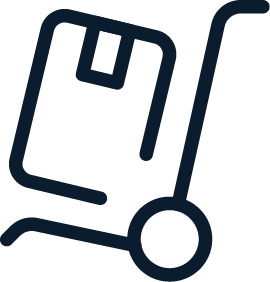 Track delivered goods against purchase orders.